A few weeks ago, I had the opportunity of working with NBC on a 4 day morning series. Attached is the interview from Day 4, below that are the links for the others. 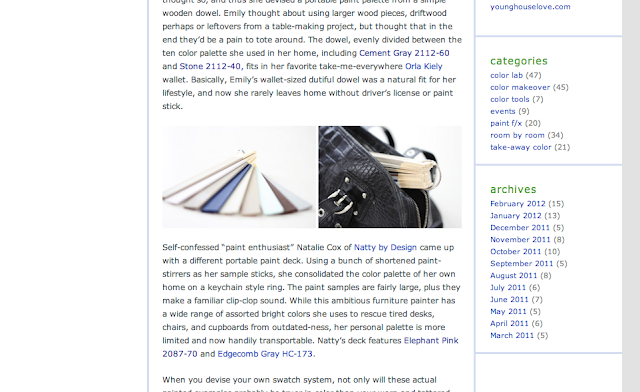 Also, if you haven't read Benjamin Moore's blog Color Chats they've put up a great post on personal paint decks featuring the one I made here. You look FABULOUS and did a great job. So inspiring for me - I am trying to leave the corporate world and do this type of thing. Love it! Exceptional job Natalie..! Keep it up.